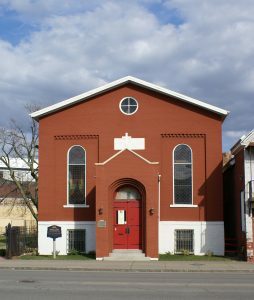 In 2001, a 501(c)(3) nonprofit organization called the Buffalo Niagara Freedom Station Coalition was formed with a focused mission: to preserve and promote the heritage of the Michigan Street Baptist Church, Buffalo’s oldest African American church. The Community Foundation has been a key supporter of these efforts, by providing capacity building for the all-volunteer based group to ensure forward momentum. For generations, the Michigan Street Baptist Church has been a beacon of hope in the African American community. When its cornerstone was laid in 1845, the congregation-owned church immediately became a tremendous source of pride for the community. As racial inequality divided the nation in the nineteenth and twentieth centuries, Buffalo became a hub for abolitionists, civil rights leaders, and social activists — with the Michigan Street Baptist Church playing a prominent role in those revolutionary movements.